MUSIC : Hold’Some'N – Sound Boy Chiif Ft Dj Cinch . Following his recent first official single track Titled “ Call Back ”, The Nigerian based star continues to establish himself as a Force to reckon with. 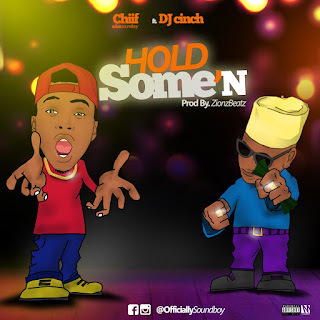 This is his latest club banger Hit Titled “ Hold Some’N FT. Dj Cinch. An infectious Afro Sound with the effortless Vocal and rakish charm that is definitely going to make your playlist.